From Economics to Mariachi Music, McCarthey Dressman Education Foundation Disburses over $141K for Youth Enrichment across the Nation: Minority and economically disadvantaged students benefit from unique enrichment programs. One of last year’s exceptional projects, a student run graphics company at Overton High School in Miami-Dade County Public Schools, draws a straight line between learning and career. Ever-tightening budgets make it more likely that educators will seek grants to introduce new programs and projects to students who need them most. If the types of projects educators piloting today are any indication, numbers is the name of the game. From studying economics in a new way, to incorporating the Mariachi music in courses, it’s a very exciting time to return to school – especially if your school is benefitting from the $141,468 investment McCarthey Dressman Education Foundation disbursed in educational grants and scholarships this year. “Academic Enrichment Grants integrate hands-on learning with a focus on real issues and problems,” noted McCarthey. “What is amazing is how collaborative efforts bring students from different backgrounds together while improving academic performance.” One way teachers at Lakeridge Junior High in Orem, UT are tackling this is in a project called Sustainable Education Through International Understanding. Integrating sustainable education through international understanding helps students think globally while making connections to their daily lives. Serving a primarily minority student body in Tucson, AZ, the educators at Billy Lane Lauffer Middle School have chosen a different beat. Students involved in music tend to excel in math, reading, learning rhythms and decoding notes and symbols. The Mariachi Cascabel Youth Organization project aims to improve academic skills while giving their students a chance to connect with their roots and culture. Educators also benefit from mentorship and resources to improve their practice. Teacher Development Grants provide funding for training and support needed for enrichment. “The teamwork among teachers of different levels of experience, expertise and specialization will significantly contribute to the quality of teaching and learning,” commented McCarthey. Project RENEW at West Elementary School, Manhattan, KS focuses on the developing knowledge among teachers. This project is being spearheaded by three rural districts in Kansas with an ultimate goal of taking it statewide. With a much higher focus on Common Core State Standards for Mathematics, teachers are realizing they will need to rethink their approach to teaching mathematics. The teachers at Poudre High School, Ft. Collins, CO are looking at mathematics education from a different angle. They are trying the Workshop Model: Building Students’ Self Esteem and Ability to Think Mathematically. Teachers will guide students collaborating with their peers to solve specifically designed problems and present to each other as “math experts.” Teachers will explore new ways to have students engage with mathematics as well as creating more effective classroom management, questioning techniques, and formative assessment to improve future instruction. 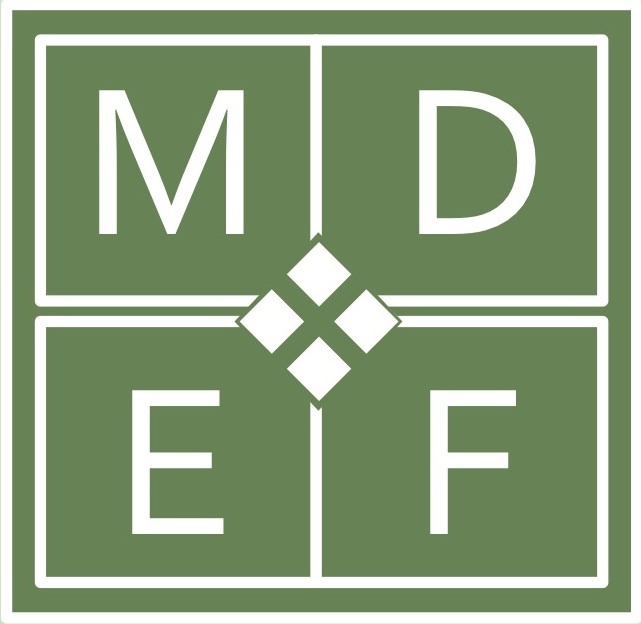 Including the grants and scholarships listed above, the McCarthey Dressman Education Foundation funded 22 enrichment efforts for the 2013-2014 school year. 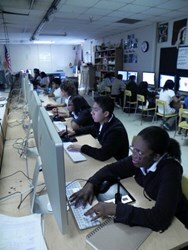 Recipients include the New York Urban Debate League and The Water Quality Project. The application deadline is April 15 of each year for proposals with significant potential to enrich the educational experiences for youth. To learn more visit mccartheydressman.org. When Southwind High School economics teacher Biba Kavass traded in PowerPoint slides and charts for a raw view of economics and poverty, she never could have predicted the life lessons her students would learn. Instead of offering only bonus activities and leadership roles to her top students, Kavass gave the Memphis high schoolers a front row seat to a shocking reality. Kavass drove her students slowly through the Ninth Ward of New Orleans, stopping every few blocks to open the doors and brave the suffocating summer heat. Amongst dilapidated houses, FEMA trailers scattered down the street, and exhausted structures covered in graffiti, her passengers sat in mutual shock. The first question one of her students asked: “When did Hurricane Katrina happen again?” When she responded, “eight years ago,” her students were in disbelief. It was a drive that senior Landon Hawthorne remembers as heartbreaking. Kavass says one of the most visible signs of desperation was the graffiti—not the vulgar language or gang affiliations, but the messages: “No jobs, no help.” It was this message that Kavass and her students wanted to learn how to change. 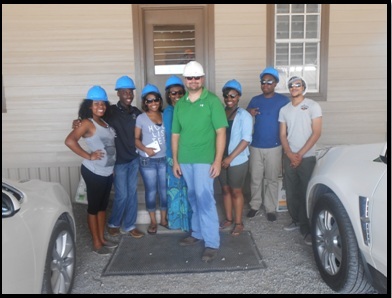 The group was on a 10-day trek to study the positive impact of small business loans on poverty, starting at home in Memphis, traveling through the Mississippi Delta, and ending in Louisiana. Before the trip, some in her group had never left the city of Memphis. Southwind High, a school where 78 percent of students receive free and reduced-price lunch, is home to many students living in poverty. But despite the hardships at home, Kavass wanted her kids to learn an important lesson. “This [poverty] exists in the world, and not just in their neighborhood, and in ways that far surpass the poverty they live in in Memphis,” she said. Along their route, Kavass scheduled interviews with small loan success stories to show the group how one small business loan could change someone’s life. After their drive through the Ninth Ward and on the way to their last meeting in New Orleans, Kavass said her students began to notice a change in their surroundings. A few blocks away from the near decade-old devastation, her students saw signs of revitalization. The stark contrast that shocked her group in New Orleans also brought many personal fears about their own future to light. When interviewing small business owners, Kavass heard her students ask advice not just about small loans but also perseverance, failure, fear and never giving up. While Kavass heard her students banter about business terms and economics on the way home, more than anything she heard students ask, “How can I do more?” Just weeks after they returned home, her students found a way. Kavass used money raised from the school’s KIVA club (a club devoted to small business loans which the entire traveling group belongs to) to provide a small $75 loan to a woman in New Orleans restarting a small concessions business. Watching her students reflect on the realities they saw first-hand, Kavass realized she had also given the group a window into themselves. “It changed all of us including me,” she said. Kavass and her students are currently working to edit video footage from their trip into a documentary on the power of small business loans. It doesn’t take visitors to the School for Law, Government and Justice long to figure out what the most popular extracurricular activity is at this small public high school in the South Bronx. Inside the school’s front door, a long glass-sided display case is crammed with hundreds of trophies, plaques, and medals—awards earned not by athletic heroes, but by the school’s champion debaters. While this school has one of the most active debate teams in the area, it is not unique. Some 30 New York City public schools—many located in areas of high poverty and few opportunities—also offer students the chance to become “great debaters.” That’s thanks to the New York City Urban Debate League (NYCUDL), an organization that sponsors The NYC Great Debaters! and offers debate training, weekend tournaments, and summer debate camps—all at no charge to participants. The league is run by a group of passionate volunteers who are convinced that debate holds the key to young people’s academic and professional success. “There is nothing more rigorous, yet more fun, than debate,” states Erik Fogel, executive director of NYCUDL. As students research debate topics, they’re exposed to ideas and disciplines rarely included in a standard public school curriculum—from philosophy and public affairs to law, ethics, and economics, he points out. And, as students formulate and practice their arguments, they strengthen writing, critical-thinking, and public-speaking skills. The weekend tournaments, held on college campuses along the East Coast, further expand participants’ sense of possibility, by exposing them to college environments and by showing them that they can compete successfully against students from more privileged circumstances. Lenny Herrera, an 11th grader from the Baccalaureate School for Global Education in Long Island, who took first place in the New York City Championships and was a finalist at the New York State Championships, says debate has given him the chance to go up against some of the most prestigious high schools and debaters in the Nation. “This feeling of being able to compete with the best is what motivates me to debate and, ultimately, keeps me going to every debate tournament,” he adds. You learn many skills that you can apply to your schoolwork, such as researching, argumentation, time management, and working well with others. As an individual, debate teaches you to stand firm by what you believe in.